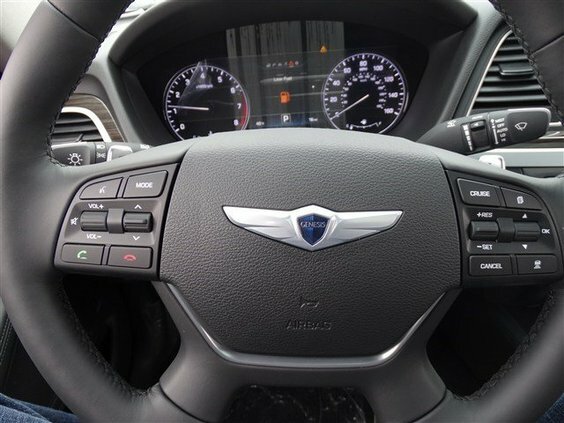 A midsize near-luxury sedan, the Hyundai Genesis is designed to entice would-be Audi, BMW and Mercedes-Benz buyers into the Hyundai showroom. It isnâ€™t as polished or prestigious as those rivals, but the Genesis does reward those willing to go outside the luxury â€˜mainstreamâ€™ with a cozy cabin, numerous high-end features and excellent value. I had a chuckle the other night while watching an old TV series filmed around 2006 when an heiress was suddenly cutoff from her familyâ€™s money to fend on her own. She was going to have to consider selling her daily driver-Mercedes-Benz 500 sedan-for â€œone of those inexpensive foreign brandsâ€-in this case a â€œHyundai.â€ The two women featured in the set couldnâ€™t even pronounce the word!! I remember the days when I would be stopped on the street when driving a Hyundai. No one knew what the â€˜newâ€™ Hyundai looked like. The 2015 Genesis has been completely redesigned, carrying over only powertrains from its predecessor. Of note for those in northern climates, all-wheel-drive is now offered as an option. 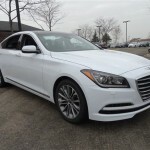 For this the second-generation Genesis, Hyundai has elected to stick to the formula that established the original model as a genuine alternative to traditional luxury choices: Start with a clean, quietly competent rear-wheel-drive package, fill it with comfort and technology features, and sell it for less than the tier-one competition. However, the level of overall refinement has gone up a notch with the redesign and styling has become more sophisticated, as well. 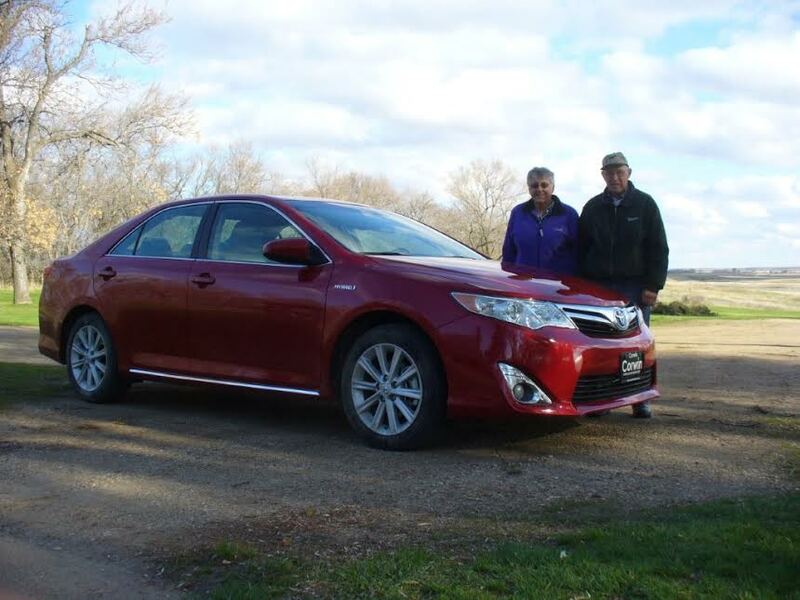 We are in the 2015 Lexus ES 350 this week; a point of comparison. The Genesis is more generously equipped, but then its price is a tad higher also. Not that consumers couldnâ€™t equip the Lexus ES 350 the same, they would be paying probably more or about the same as the Genesis. When closing the doors on the ES one notices a tinny sound; not so with the Genesis. 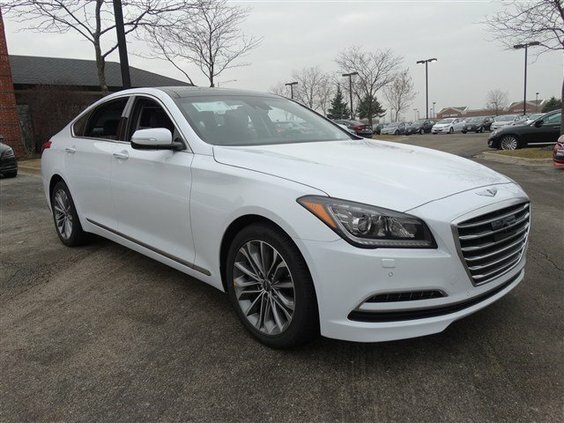 Outside, the Genesis has an air of discreet elegance due to a handsome six-slat floating grille, with trapezoidal headlights, and is streamlined with six windows. This is a large sedan, and appears so on the outside. The dash and IP although simple, are attractive, donâ€™t distract and have intuitive controls. Materials are high-end and the matte wood trim takes one back to the cars of the 1960s! General Motors, anyone? Rear seating is more than plentiful. This is a sedan you will want to carry you across the country on a long road trip. We recently acquired the sound track from the movie Imitation Game. Blasting it in the Genesis Lexicon 7 surround sound system was world class. Technology abounds with Hyundaiâ€™s latest Blue Link telematics service. One can personalize voice text messaging, point-of-interest web searches and download, as well as automatically notifying a command center of a collision. Traffic, weather and restaurant and gasoline locations are also available. The first in the industry is Hyundaiâ€™s system that measures human-produced C02, as it increases air flow when C02 levels are high enough to make the driver drowsy. A hands-free trunk release is also standard. Just by carrying the key in your pocket, the system is activated, opening the trunk within a few feet of the rear bumper. Amazing! And we thought automobiles were â€˜sophisticatedâ€™ in years past. They just keep getting better and better; or should we say smarter and smarter. The Genesis comes standard with Appleâ€™s Siri Eyes Free system providing hands-free access to the Siri function and works with any iPhone (iOS 6). You link up and voice commands are at your fingertips so that you can make calls, plays your iTune songs, as well as listening to and composing your own text messages. Consumers can opt for the V6 3.8-liter engine or the more costly and gas guzzling 5.0-liter V8 engine. Our test vehicle came equipped with Hyundaiâ€™s 3.8-liter V6 which seemed to have plenty of power. We enjoyed punching it when entering the highway. It kept up just fine. Both engines team with Hyundaiâ€™s eight-speed automatic transmission. Rear-wheel-drive is standard faire. The 3.8-liter V6 can be ordered with all-wheel-drive. As expected with most vehicles today, and certainly near-luxury sedans, the latest in safety technology is standard equipment. 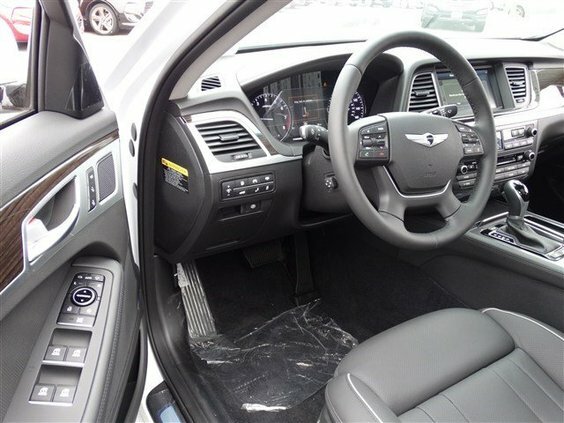 The Genesis is equipped with dual front, front side and rear side and full-length side curtain airbags, driverâ€™s knee airbag and traction and stability traction control systems. Anti-lock brakes with electronic brake force are also standard. Our test Genesis came equipped with three expensive options: Signature Package (power tilt/slide panoramic sunroof, integrated memory system/ventilated front seats, power tilt/telescopic steering wheel, HID headlights/auto dimming outside mirrors, blind sport detection with rear cross traffic alert parking guidelines, power rear sunshade and manual rear side sunshades, $4,000); Tech Package (Ultra leather seals/7â€ TFI LCD cluster display, power driver seat cushion extender and side bolster, Lane departure warning and lane keep assist, Smart Cruise Contact w/stop-start capability, Haptic steering wheel and pre-safety seatbelt, Auto emergency braking (AEB), high beam assist, front/rear parking assistance system, $3,500); and Ultimate Package (Genuine matte finish wood trim and aluminum trim, heads-up display w/power trunk lid, Premium navigation with 9.2-inch high def screen, Lexicon 17-speaker discrete logic 7 audio system, dual-mode vent control with C02 sensor, $3,500). MSRP: $38,000; total vehicle price $49,950; destination $950. EPA fuel economy: 18/29 mpg., 22 mpg. Avg. Given that Valentine’s Day is just around the corner, don’t be fooled into thinking this is another warm ode from a son to his mother. The usual exchange of greeting cards, whether it is on V-Day or Motherâ€™s Day contain narratives about maternal nurturing, human closeness and world peace set in domestic locales such as kitchens. This is not one of them. My mother and I have a distant relationship, both geographically and emotionallyâ€”abetted by all things, the automobile. According to my mom, this gap appeared during my early childhood. As she tells the story, she wanted to play ball; a game of catch. When I caught the orb, I would keep it; I didnâ€™t toss it back. Instead, I grabbed it and ran away-headed to my favorite mode of escape, an early 1960s Murray ‘flat face’ pedal car with fender ornaments. She was frustrated. Mom had a countermeasure, however-the family car. 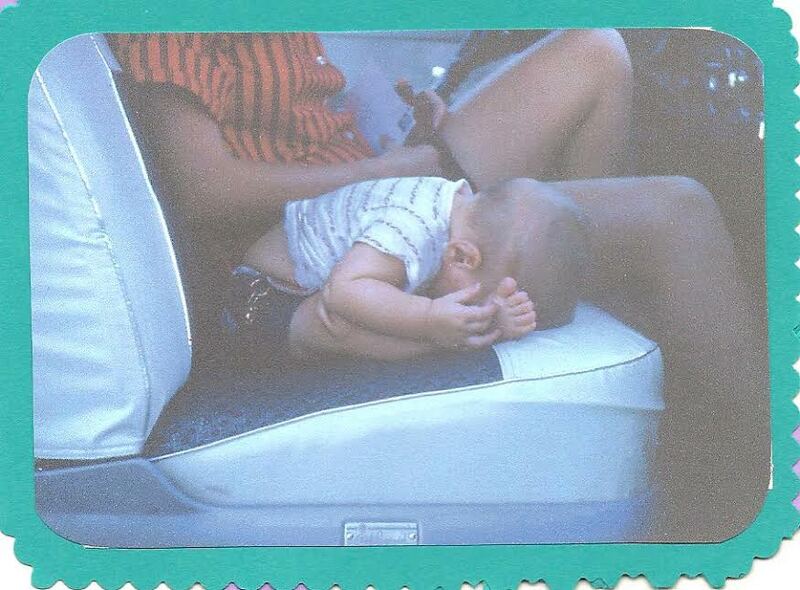 She discovered that nearly the instant I was supported by a 1955 Ford Mainline’s seat sporting a glittering cover, I became pliable, docile and sleepy. It’s as if Scarlett Johansson’s voice whispered through the car’s see-through I Astra-Dial speedometer. 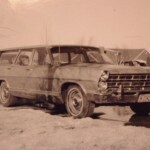 Years later, mom’s instrument to garner closeness was a station wagon, a 1967 Ford Country Sedan, the gold-colored behemoth didn’t have a radio! No napping, when she drove this monster. Nonetheless, riding with my mom was instructive, and destructive, at the same time. 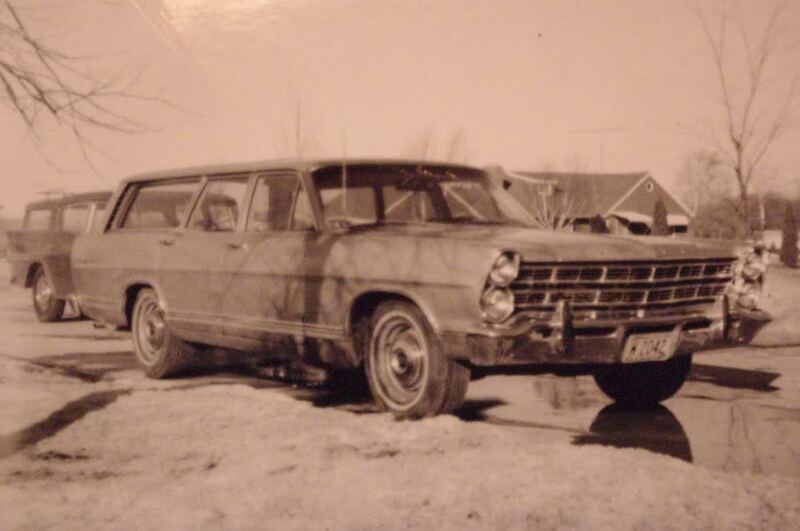 For Instance, my mother drove a car as though she escaped from the Midway at the state fair. In her hands, they were Tilt-A-Whirls run amok. Given the Fordâ€™s slab-like waffle-print seats, this meant we had to fasten the outboard seatbelts. Mom often set the Sear’s Lady Kenmore clock-controlled oven, then became the neighborhood chauffer ferrying kids to all of the wonderful places mother’s take their brood, such as our community’s outdoor swimming pool. One time she approached a fork in the road, downshifted and then gleefully stomped on the throttle-instant autocross; a ride on the wild side. The resulting force tossed the preacherâ€™s kid, who was riding along, smack against the door panel. I thought this great fun until he â€œnarcedâ€ on Momâ€™s driving. Letâ€™s just say that my folkâ€™s minister wasnâ€™t amused. I, however, couldn’t contain my laughter. It suddenly dawned on me: My mother’s idea of family-style motoring wasn’t the norm. So if your idea of a family car is a mom-approved safety cocoon, you werenâ€™t in our family car. Did this driven woman teach me to drive? Possibly, but she refused to let me sit in the driver’s seat, even on the trip home after I got my driver’s license! I rode in the back seat. Any amusement ride can become a mode of cruel and unusual punishment. Surely, you remember Alfred Hitchcockâ€™s merry-go-round? Well, my mother came close. She found cruising at 55 mph on a county highway the ideal velocity to introduce the facts-of-life quizâ€”and weâ€™re not talking the TV show. What was a guy to do? I mean, there must be something in the Fourth Geneva Convention banning this form of deportation and confinement. What could I say??? Quick turn left at the stateâ€™s vehicle inspection facility. I think theyâ€™re open late to check nocturnal emissions???? One wrong word could provoke my mom: Thereâ€™ was no telling what avenue sheâ€™d take next. On the road, one can learn how to thwart adult authority. During one trip home from the city, which was supposed to include a side trip to McDonaldâ€™s for Hot Apple Pie, I discovered that crusty concoction was conditional. There was a stern parental request. I said â€œno.â€ It was one of my early victories. I won the battle, but lost the treat. Had I retorted that McDonaldâ€™s wasnâ€™t nearly as good as momâ€™s homemade pieâ€”a verityâ€”my smart mouth might have scored an extra bite. 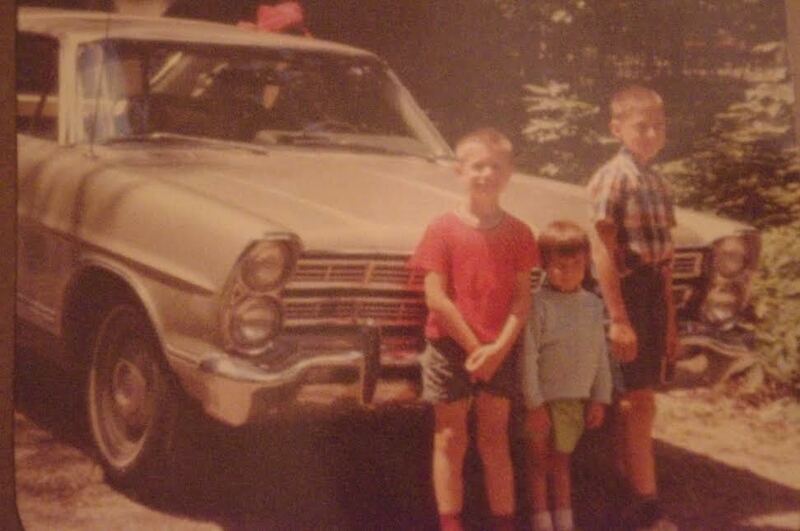 Mom, however, often turned our 700-mile treks to grandmotherâ€™s house into excursions any car-crazy kid would dig. Sheâ€™d dole out trinkets meant to delight and entertain. One of these was a Matchbox model eight, a silver oval-rear-window VW Beetle, which I still have. My brother got the Microbus. My mother engaged us in car and card games. Auto bingo was a favorite. She handed out cards with colored windows you slid over DeSoto, Packard or Nash logos. Those now defunct makes were still roving the early interstates, if you watched carefully. Then there was Mille Bornes, a French car card game. You won if you were able to rack up 1000 kilometers. Neither the Mille Bornes gameâ€™s tire punctures nor speed limits, however, were as fiendish as my momâ€™s wicked use of the family car. And unlike the game, you could not play a coup-fourre (counter thrust, protection card), when your mom was at the wheel. Sunday drives home from church could be devilishly thrilling. My mother was the church organist, and also presided over one of the early two-car families on our block. That meant that my folks could head to and from church services in separate cars. My dad and I were in agreement about not arriving at our house of worship an hour early for music preps. Heading home, however, was a different matter. I had a choice: One, ride with my nerd-insert dad who drove as though he had to get every millimeter out of his investment in a set of Duralon bias-ply tires. Two, ride with my daredevil mother. The choice wasn’t always obvious. 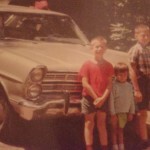 With dad, I could ride in the front while I scanned the roadside for lost hubcaps. Or, I could ride with mom-in the back seat. Mom preferred the long way home; a rural route that snaked between a farmstead and its barn, dipping abruptly downhill. For a moment, the car would feel airborne. Today Mom is a 75 year-old loving grandmother who still enjoys driving. 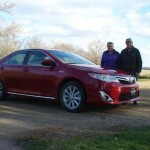 Her wheels come in the form of a Toyota Camry Hybrid, as well as a five-speed Ram diesel truck. The truck-my parentsâ€™-is used to tow their fifth-wheel abode. Trailer Trash? As she has always done, Mom creates her own Valentines Day cards for us all. She keeps busy, but gone are the days when she would drive with reckless abandon. Like the time she took the 1959 Rambler off-roading and got stuck in a puddle. Then there was the time she forgot to pick me up from school! A second-grader, I walked about four miles toward home, but had to stop at a AMC dealer to use their restroom. The receptionist attempted to call my parents. Mom had absent-mindedly got apple picking and hadnâ€™t realized she was two hours late! In todayâ€™s world, such an event might have made it on the evening news. In the good old days, it was an â€˜adventure.â€™ A car show! Our 2015 Lexus RX appeared rather plain in its basic beige-tan paint color. Not the most interesting option offered from Lexus. And one has to admit, although there is little to say about the RX that is negative, this is a vehicle that despite its lack of exciting styling, continues to outsell most CUVâ€™s on the market. And when driving it on daily basis, it is easy to understand why. This is a smooth riding, quiet, easily handled vehicle. Every bit of 4,000 pounds, it doesnâ€™t feel heavy or cumbersome. A favorite with women-suburban momâ€™s and real estate agents-this small ute also comes equipped with most appreciated amenities. 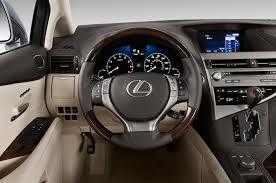 Our test Lexus RX comes equipped with many safety features, including all-wheel-drive (AWD). Having reviewed this vehicle a couple of times in 2014, itâ€™s hard to come up with something too different or radical about our test drive. So we have chosen to focus on those features which make it a preferred winter-driving vehicle. Such as AWD and its advantages, as well as disadvantages. 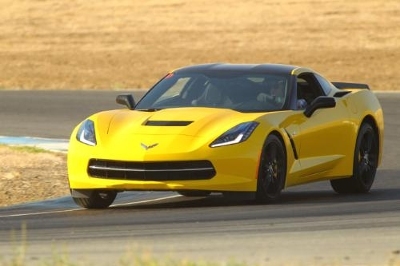 Two of the biggest advantages of an AWD car are its turning and accelerating traction. Each wheel is delegated a responsibility to both push and pull the car through a turn. A car with AWD, however, still has the same braking system as other vehicles so the driver doesnâ€™t have to push the car hard. Because with AWD all the wheels are under power at the same time and the car maintains more control. Each wheel handles one-fourth of the carâ€™s weight and momentum. During turns, the rear wheels impel the car forward, while the front wheels pull the car in the proper direction. This movement limits tire slip and any drag. When driving in snow in a car with AWD, correcting a skid by accelerating is almost impossible. This is because all four tires are moving forward. There is no negative force on the rear wheels to pull the car straight. If you accelerate during a skid, the car will hold in its slide because the front wheels cannot control the rear wheelsâ€™ forward motion. There are however, some disadvantages to all-wheel-drive. AWD can be heavy, and were more so in the past, which impacted fuel economy. As new engine and transmission technology improves, this is less of a problem. While AWD used to be found in trucks and utility vehicles, it is proving to be a much-desired safety benefit in all vehicles. Important to luxury-car buyers, the AWD option adds a sense of security when navigating snow-covered roads. Jaguar, Mercedes-Benz and BMW have all equipped their sedans with all-wheel-drive. Hyundai also offers AWD in its Genesis sedan. With few negative qualities and improved grip and safety even on dry roads, AWD is becoming more desirable. Perhaps seen as another disadvantage to some buyers, AWD is more expensive than two-wheel drive. This also dictates more expensive repairs. EPA fuel economy: 18/25 mpg. Soon to be here, the Chicago Auto Show has begun to throw out some pretty clever ideas for attendees of the ever-popular Chicago February event. Hashtags can be utilized to tap into some of the fun and innovation. 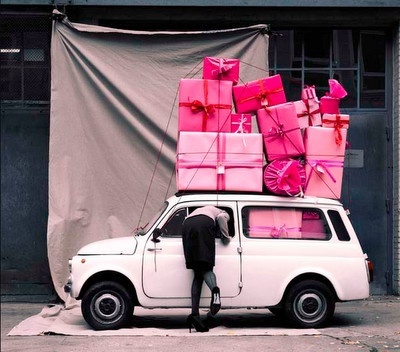 For instance, #Excuse4CAS will enter you in a very fun contest, new for 2015. The Chicago Auto Show is asking fans to share their best #Excuse4CAS for attending the show. Why do you need the day off to attend the Chicago Auto Show, asks the CATA? The management have crafted a downloadable “excuse letter” for fans to print off and complete before turning into their boss/teacher/spouse. The Chicago Auto Show will select random winners via Facebook, Twitter and Instagram throughout the month. A few contestants will be chosen and granted their wish to play ‘hooky’ at the show!! Mitsubishi Motors of America is singing their praises about a jump in sales for the year 2014. When many are wondering whether/not they will survive in the United States market, total sales for 2014 was 77,643 units or, a 24.8 percent increase over 2013. The brand’s strong momentum through 2014 was carried into December, which was the tenth consecutive month of year-over-year sales increases. December sales of 6,545 units mark the best December for Mitsubishi since 2006. Highlights of the 2014 sales include a 24.5 percent increase from 2013 for the Outlander Sport and a 6.4 percent increase from 2013 for Outlander. According to Don Swearingen, Executive V.P. MMNA, Mirage continued its strong sales pace with 1,135 units sold. The new Illinois law pertaining to auto leasing took effect January 1, 2015. State taxes on vehicle leases have been reduced by as much as 50 percent. This will allow consumers to lease more car for less money. The House Bill (2317) was signed by now Governor Pat Quinn in May of 2014 and alters the way taxes are collected on light-vehicle leases. 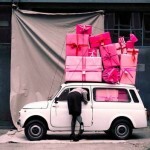 Before January 1, consumers paid tax on the entire purchase price of a vehicle. Now, customers who lease a vehicle pay taxes only on the money due at the start of the lease and monthly lease payments. Most vehicles have a residual value of 50 percent or more; the new law will reduce these taxes. Nationally, the number of new-vehicle owners has grown 26 percent; doubling over the last five years. Illinois has lagged behind this figure, at just 14 percent. The leasing rates in the Chicagoland market are the lowest for any metro market in the country. For instance, leasing rates in New York are at 50 percent and 48 percent in Cleveland. Auto dealers are hoping the new vehicle lease law will make leasing much more attractive to Illinois consumers. It is widely believed that only luxury cars are leased, when in fact, according to Experian Information Solutions, each of the top 10 lease vehicles starts at a MSRP of below $25,000. Monthly payments may also be lowered by $100 or more for leases. The Illinois new-car dealers accounted for $28.4 billion in total retail sales in 2013; 15 percent of the stateâ€™s total. The Chicago Automobile Dealers Association (CATA) recently released million-dollar educational campaign branded â€œThe Lease You Can Do: More Car, Less Money.â€ The print, broadcast, online effort is designed to help Chicagoland buyers understand why vehicle leasing makes financial sense. 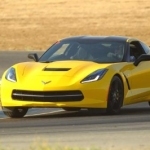 According to the McLean-based National Automobile Dealers Association,Â of all new or heavily redesigned mainstream models, it is the 2014 Corvette Stingray Coupe 1LT Automatic that retained the best value; 84.7 percent of itsÂ value after one year, the trade group says. The worst was the 2014 Mitsubishi Mirage DE 1.2L I3, retaining just 54.5 percent of its MSRP value. Nissan Rogue S AWD 2.5L I4: 73.1 percent. Kia Forte Sedan EX 2.0L I4: 61.8 percent.